✅I OFFER PLACEMENTS UP TO DA 50 - IF YOU NEED A HIGHER DA PLEASE CHECK MY PROFILE FOR MY OTHER REAL BLOGGER OUTREACH SERVICES - Getting asked this a lot! I am offering a genuine outreaching and placement service that adheres to Google's guidelines. I will manually research top quality blogs, niche specific with a DA of 30+ (Domain Authority), pitch the blog owner with fantastic content and make the placement accordingly. 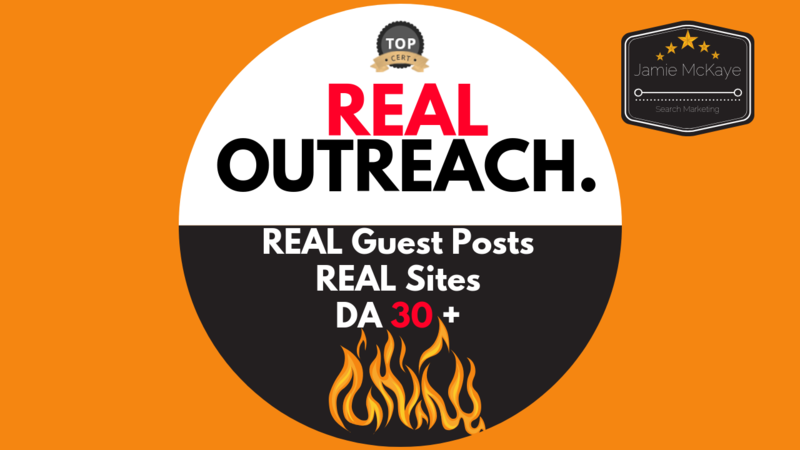 ✅All guest posts will be PERMANENT, if your post disappears I will replace it for FREE. ✅ALL NICHES ACCEPTED ... EXCEPT If you have an adult or gambling site, please message me before ordering as prices will differ. ✅Need a custom blogger outreach plan? Message me and I will put together a custom guest post outreaching plan together for you to suit budgets. Excellent work, above and beyond what we expected. Did an amazing job and a pleasure to work with. Excellent link, I recommend his work. Jamie created a good quality backlink that has improved our rankings. Professional and efficient. Would definitely use again. My name is Jamie, an SEO / Digital Marketing specialist, link acquisition / guest posting guru, WordPress Web Designer & accomplished writer. 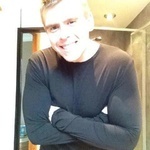 I am absolutely dedicated to delivering...Read moreMy name is Jamie, an SEO / Digital Marketing specialist, link acquisition / guest posting guru, WordPress Web Designer & accomplished writer. I am absolutely dedicated to delivering tangible Digital solutions that work, whether it’s a robust organic search campaign, social media creative, paid search strategy or designing & developing exceptional (usable) websites. I also provide data to many leading digital marketing media outlets including Search Engine Land, Search Engine Watch and SEO Round Table. Have worked with a multitude of clients from SME's to Blue Chip companies including Lexus, JD Sports & Footlocker.